As 2018 slowly winds to an end, let’s all collectively undo the top button on our mom jeans, loosen the laces on our dad sneakers, and let out one big sartorial sigh of relief. Phew! We made it, folks. Fashion was all over the place this past year. Depending on where you looked, the last 365 days felt a lot like 1984, 1994, or 2004, to be honest. Retro trends like bodysuits, slip dresses, chunky sneakers, bike shorts, and going-out-tops all came back in big ways. As did western wear, utilitarian dressing, and faux fur. Oh, and let’s not forget about leopard print, either. Trends aside, though, the biggest takeaway from 2018 for me personally was how much individuality and self-expression reigned supreme. I mean, if Michelle Obama walking out on stage wearing those thigh-high glitter boots didn’t leave you empowered to wear WTFYW in 2019, I don’t know what will. 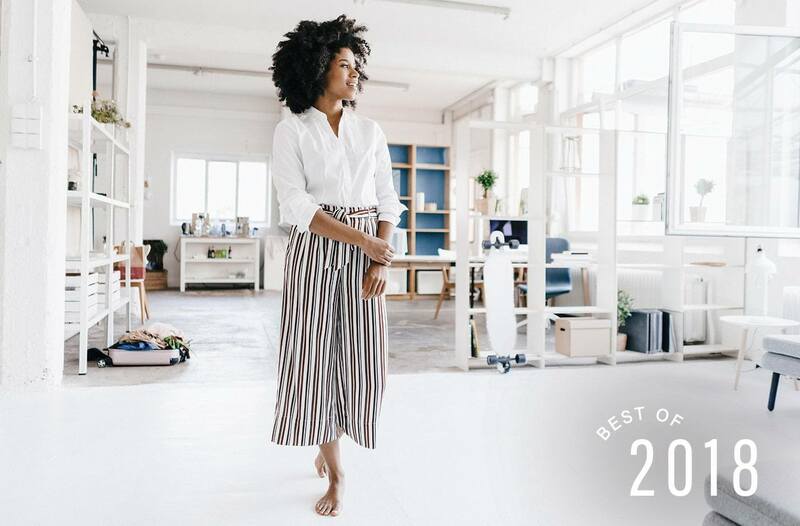 So, in the spirit of the “you-do-you” ethos that permeates everything we do editorially at Well+Good, I asked our fashion writers to share the best fashion advice they embraced in 2018. Unsurprisingly, no two answers were exactly alike—but each was stellar in its own way. Keep reading to see the best personal style tips our fashion writers picked up in 2018. “I think the tip I embraced this year was downsizing my wardrobe to the basics. As a former fashion editor who used to receive a lot of free clothes—and someone who had a serious vintage-dress shopping problem in my 20s—my closet has always been overstuffed, and yet I’ve always felt very ‘meh’ about my outfit options. But I recently moved into an apartment with just one tiny closet and had to reduce my wardrobe by about 70 percent. Some of our best fashion advice came from you (thank you!) this year, starting with these leggings Well+Good readers swear by.